SanDisk Corporation announced the SanDisk Netbook SDHCTM removable flash memory card, offering consumers an easy and affordable way to significantly increase their netbooks’ storage capacity. Consumers simply insert the SanDisk Netbook SDHC card into a netbook’s card slot to add capacity instantly. This news expands upon the previously announced next-generation SanDisk® pSSDTM product family, which serve as drop-in replacements for hard disk drives (HDDs) in netbooks. The SanDisk Netbook SDHC card gives consumers the ability to increase the netbook’s storage capacity by 8 or 16 gigabytes (GB), effectively doubling the storage space offered in most solid-state drive (SSD) powered netbook models. The card resides within the netbook, which decreases the risk of it being damaged while the netbook is moved. Netbooks are small, low-cost computers that offer consumers a highly portable means of surfing the Internet, accessing email as well as enjoying their favorite music and videos on the go. Market researchers, IDC, project consumer purchases of netbooks to rise from 11.5 million sold in 2008 to 50 million in 20132. Despite their growing popularity, many netbook models are capacity-constrained, causing users to run out of storage space quickly, with few options for increasing memory. 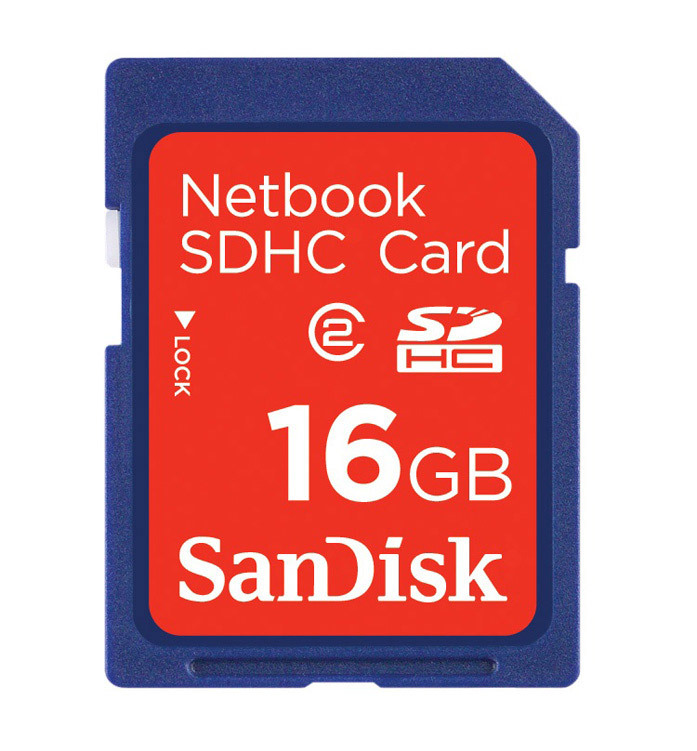 The SanDisk Netbook SDHC card is currently available at shop.sandisk.com. The 8GB card carries an MSRP of $39.99 and the 16GB card carries an MSRP of $79.99. The card comes with a 5 year limited warranty. In addition to the Netbook SDHC card, SanDisk offers a comprehensive product portfolio of SSDs for the netbook and notebook markets. SanDisk pSSD drives’ combination of capacity, performance, weight, pricing and power advantages make them ideally suited to serving the needs of designers, manufacturers and users of netbooks. SanDisk G3 SSDs are designed as drop-in replacements for HDDs in notebooks, and offer users a convenient upgrade with industry-leading performance at an affordable price.